Hunslet have signed former Featherstone Rovers and Sheffield Eagles centre Nathan Chappell. Twenty-seven-year-old Chappell has scored a total of 27 tries in 33 appearances with Featherstone and Sheffield, and Hunslet head coach Gary Thornton is delighted to have signed such a proven Championship player. 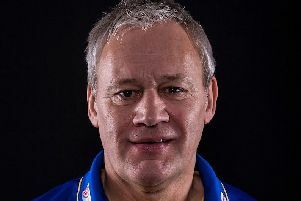 He said: “He is an established Championship player, having been at Featherstone, Sheffield and Oldham, so has a wealth of experience at the higher level. “He has also had a stint out in Australia, so his experience will be of huge benefit to us. Chappell has possibly the fastest recorded hat-trick in rugby league history (Featherstone v York 73-78 minutes), along with old team-mate Greg Eden (Castleford v Leigh, 33-38 minutes), which are both within a five-minute period. Chappell added: “I’m really excited to have signed for Hunslet after having a year off. I really missed my Rugby League and I’m delighted that Gary has given me the opportunity to play again at semi–pro level, alongside some talented and familiar faces (especially my old mate Muffa). “The club has high ambitions for the coming season which is something I want to be a part of in pushing for promotion.